Hip Hop network & Rap Freestyle Studio that fits into your pocket. Get discovered by some of the biggest record labels in the world. Record a track, freestyle or hold a rap battle! Others hear the tracks and rap battles on the our Hip Hop Radio and crown the best MC. Be like Drake, Eminem, Lil Wayne, Snoop dog or Nicky Minaj! 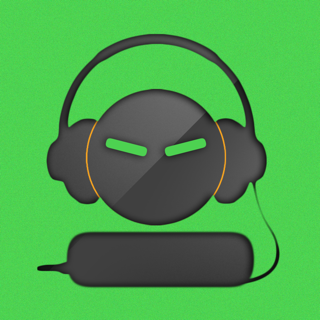 •	Record Your Track - Choose a beat, freestyle your rap and share it with the world. •	Hip Hop Radio - Everyone has equal chance of radio play. Rotation is governed by an algorithm which is based on your popularity and activity. •	Rap Tournaments - Go up against hundreds of people. We give you a topic, and you record a track and submit it to the Rap tournament. Once voting period begins, other users vote for who killed it. •	Hip Hop Feed - Allows you to keep up with users that you follow, discover new content, and read latest hip-hop news. - Subscribers have unlimited access to ALL beats, double recording time, have 2x power of voting, and much more! Our recording studio now loads in record time! We also smoothed your user profile screen and fixed a bug that led to a crash on login. And we added some tasty new beats! This is a great stage to stand on to be viewed by others on your craft as a MC. A rapper, slash, spitter, or how ever u like to call yourself as a artist. This is a platform to be noticed, seen, like, shared, by the the world of people with opinions some good! and bad! However it’s a place all kind of career opportunity can take shape. So I have been doing this since I was 9 yrs old now I’m 47 going on 48 yrs old man. I don’t do this rap thing now’ anymore’ to be a super star or for fam but But, who knows what? 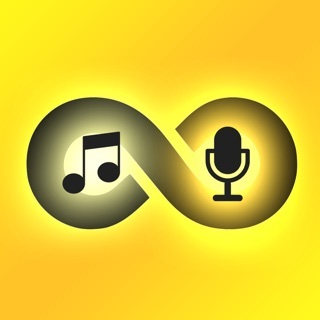 the future of my music career can go from this battle rap app! My talent is wide ray of many things from my MC career as a slash singing, rapping, rapper, writer, voice over person. So I like to take this time out to thank battle rap app and sponsor for giving me a platform to stand on like this thanks. Appreciate your feedback and support! Keep it up!! Don’t waste your time if you really got skills. They take your money and can care less if you had a issue. I had a personal complaint so I took it to the apps administrator and like always, no response. The app is full of artist so no one honestly listens to your music because everyone wants to be heard. Your only allowed 15 private messages a day. Before the limit, you was allowed to promote your music as much as you wanted. Now, after your 15 pm’s is gone, you can either go to the chat room that’s full of racist radicals, or you can pay 1.99 to put your track on the hot feed which allows your track to be judged and allow it more AirPlay. Today I paid for 2 tracks to be judged and when they wasn’t, I took it to the admin which was a mistake because they never respond back . If you don’t take the art serious then the app is for you. More inside facts coming next!!!! The "15 unique dialogues limit" was made to fight the Private Chats Spamming, which is a huge part of shade vote and vote4vote issue. We try to keep the community friendly and encourage users to support each other. You can still use Public Chat and Crew Chat w/o any limitations. 2) attach the most recent receipt from App Store purchase of Send to Hot. Apologies for the inconvenience, we're looking forward to helping you! This app isn’t horrible but the judging system is way off! I would like to see this app help artist more then it does now. For some reason views are a big problem! Even if I send my track to the hot list it seems like it still never gets open like it should, I would like to see this app help artist get there music out and get discovered faster because if your music isn’t sent to the hot list you will not be able to get any views maybe 5-10 max. If you send you music to the hot list you should get more then 20 views and I understand it’s up to the people to click but it’s not worth spending $1.99 or 300 benjis. We appreciate the recommendations from our users and take them into account when developing new features.